CPR Certification Overview: Learn CPR for Adults, Children, and Infants, and how to use an Automated External Defibrillator (AED). After successfully passing our Free CPR Test and after a successful purchase you will receive your certification and PDF card instantly, via email and on-site. You'll also receive your Hard Card within 2-5 business days. All courses follow the American Heart Association (AHA) and Emergency Cardiovascular Care (ECC) guidelines. There is no more common cause of death in the United States than heart disease. And while heart attacks, cardiac arrest, and other dangerous ailments are most common among older adults, the fact is that they can strike anyone at any time. This is why CPR is such an important skill to have. More and more offices, health teams, and curious individuals are pursuing CPR/AED certification, either in response to government regulation or simply to enrich their lives. The increased interest is good news for those threatened by heart disease, however, busy professionals often struggle to have the time to fit the proper CPR class and training into their daily schedule. CPR Heart Center responds by offering easily within reach certification classes that can be completed quickly and at minimal cost. For maximum convenience, however, the obvious choice is online CPR certification. A new option that is quickly gaining in popularity by those who need to complete their certification efficiently, online classes allow you to complete a virtual lesson, take a CPR test, and receive your own certification in under an hour without having to leave the comfort of your favorite chair. Find out more about CPR Heart Center’s CPR / AED class and how it can save you time and money during your certification process. All of us have heard of CPR, but how many actually know what it is? In our CPR certification class, you will be able to find out for yourself, and learn how to effectively implement the associated techniques to adults, children, and infants. 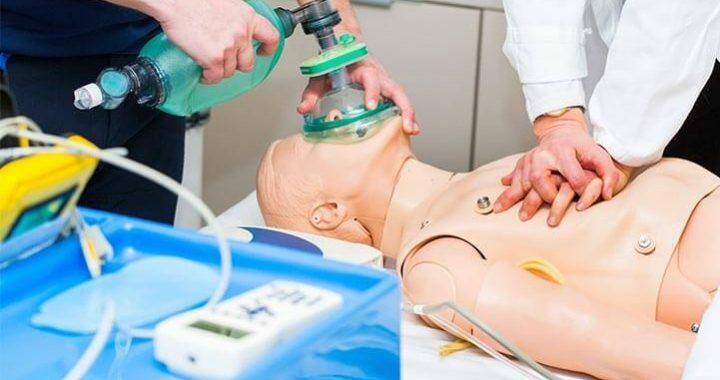 CPR stands for Cardiopulmonary Resuscitation, and it is a series of techniques that are designed to restore a heartbeat to those who have drowned, experienced a stroke or cardiac arrest, or had a heart attack. Since these life-or-death situations require fast action, having an in-depth understanding of the techniques is essential. Earn Your CPR Certification Today!